Earlier, we noted that firms with higher dividend payouts will have to sell stock more often. As we have seen, such sales are not very common, and they can be very expensive. Consistent with this, we will assume that the firm wishes to minimize the need to sell new equity. We will also assume that the firm wishes to maintain its current capital structure. If a firm wishes to avoid new equity sales, then it will have to rely on internally generated equity to finance new positive NPV projects.6 Dividends can only be paid out of what is left over. This leftover is called the residual, and such a dividend policy is called a residual dividend approach. With a residual dividend policy, the firm's objective is to meet its investment needs and maintain its desired debt-equity ratio before paying dividends. To illustrate, imagine that a firm has $1,000 in earnings and a debt-equity ratio of .50. Notice that, because the debt-equity ratio is .50, the firm has 50 cents in debt for every $1.50 in total value. The firm's capital structure is thus % debt and 53 equity. The first step in implementing a residual dividend policy is to determine the amount of funds that can be generated without selling new equity. If the firm reinvests the entire $1,000 and pays no dividend, then equity will increase by $1,000. To keep the debt-equity ratio at .50, the firm must borrow an additional $500. The total amount of funds that can be generated without selling new equity is thus $1,000 + 500 = $1,500. The second step is to decide whether or not a dividend will be paid. To do this, we compare the total amount that can be generated without selling new equity ($1,500 in this case) to planned capital spending. If funds needed exceed funds available, then no dividend will be paid. In addition, the firm will have to sell new equity to raise the needed financing or else (what is more likely) postpone some planned capital spending. 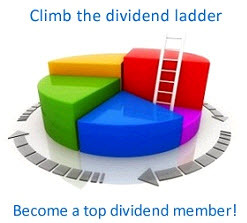 If funds needed are less than funds generated, then a dividend will be paid. The amount of the dividend will be the residual, that is, that portion of the earnings that is not needed to finance new projects. For example, suppose we have $900 in planned capital spending. To maintain the firm's capital structure, this $900 must be financed by 53 equity and % debt. So, the firm will actually borrow % X $900 = $300. The firm will spend 23 X $900 = $600 of the $1,000 in equity available. There is a $1,000 - 600 = $400 residual, so the dividend will be $400. In sum, the firm has aftertax earnings of $1,000. Dividends paid are $400. Retained earnings are $600, and new borrowing totals $300. The firm's debt-equity ratio is unchanged at .50. The relationship between physical investment and dividend payout is presented for six different levels of investment in Table 18.1 and illustrated in Figure 18.3. The first three rows of the table can be discussed together, because in each of these cases no dividends are paid. A policy under which a firm pays dividends only after meeting its investment needs while maintaining a desired debt-equity ratio.